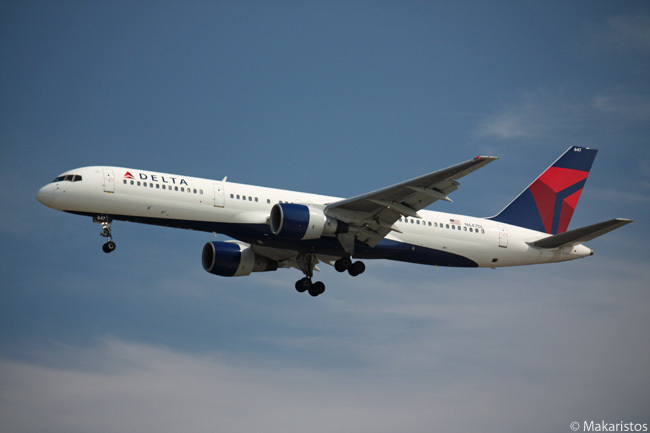 Delta Air Lines has announced it will invest more than $770 million through 2016 to refurbish the interiors of 225 of its Boeing 757-200, 737-800, Airbus A319 and A320 jets. The interior refurbishments by Delta Air Lines will provide power at every seat, add new slimline seats with adjustable headrests, install updated lavatories, add more efficient galleys and additional features to improve passenger comfort. Delta’s modifications to 56 of its Boeing 757-200 aircraft will include installing in-seat video, satellite TV and access to power for every passenger, along with new galleys, updated LED cabin lighting and new lavatory designs, as well as larger-capacity overhead bins. According to Delta, it will be the first carrier in North America to install the new bin system, which will increase passenger carry-on baggage capacity by more than 50 per cent. The 49 modified domestic Boeing 757-200s will feature a layout of 20 First Class seats, 29 Economy Comfort seats and 150 Economy seats. The remaining seven 757-200 international aircraft will have a configuration of 18 First Class seats, 28 Economy Comfort seats and 151 Economy seats. Delta’s investment in 43 Boeing 737-800 jets will include adding in-seat video with satellite TV, along with new LED cabin lighting and updated lavatories. The aircraft will be configured with 16 First Class seats, 18 Economy Comfort seats and 126 Economy seats. 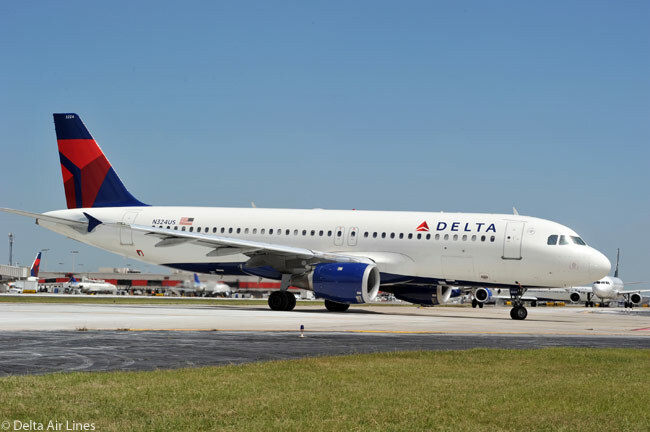 When the modifications are complete, Delta’s entire fleet of 73 Boeing 737-800s will have in-seat video with access to satellite TV and in-seat power throughout the aircraft. 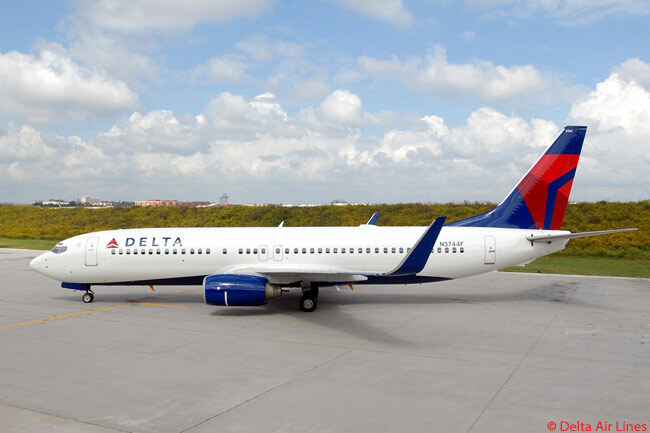 Delta’s 57 Airbus A319 and 69 Airbus A320 aircraft will receive complete interior updates, including new seats in their First Class and Economy cabins and in-seat power throughout the aircraft. The Airbus single-aisle jets will also receive new space-saving galleys, new lavatories, new larger-capacity overhead bins with an average increase of 60 per cent more carry-on baggage space, updated LED lighting systems and new cabin interiors. Updates to the A319 fleet will also include the installation of in-seat video with satellite TV. Each A319 will have 12 seats in First Class and each A320 will have 16 First Class seats. All Economy seats on both aircraft types will become wider, the width of each seat increasing from the current 17.2 inches to 18 inches. Both fleets will have 18 Economy Comfort seats with 34 inches of pitch. Economy seats will each have 31 inches of pitch on both aircraft types, with Delta installing 102 seats on each Airbus A319 and 126 seats on each Airbus A320.